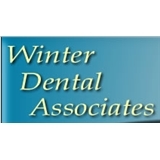 Hampton Dental Associates (Milwaukee) - Book Appointment Online! ***ALL PATIENTS MUST CANCEL OR RESCHEDULE BY CALLING THE OFFICE*** Dr. Richard and Dr. Bruce Winter are third generation reconstructive and restorative dentists who have accumulated the technical and artistic skills to not only develop a treatment plan for practically any dental need involving cosmetic or rehabilitative dentistry ... but have access to resources that enables our patients to select not from one level of recommended treatment... but several. We accept most PPO and fee for service insurance networks. Unfortunately, we are not part of Badgercare, HMO, or Medicaid. Best dentist I've ever had! Would recommended to anyone I know!